Aphrodite is an angel who brings young people love and romance. With a loveseeking arrow in her hand, she flies above this land seeking potential lovers and creates chances for them to fall in love. It’s said that people are able to track her and see her immense beauty following the fragnance of red roses. Deals (160% ATK + 500) MATK to all enemies with 100% hit rate and increases Agility by 5.5% for entire party, lasts 2 turns. 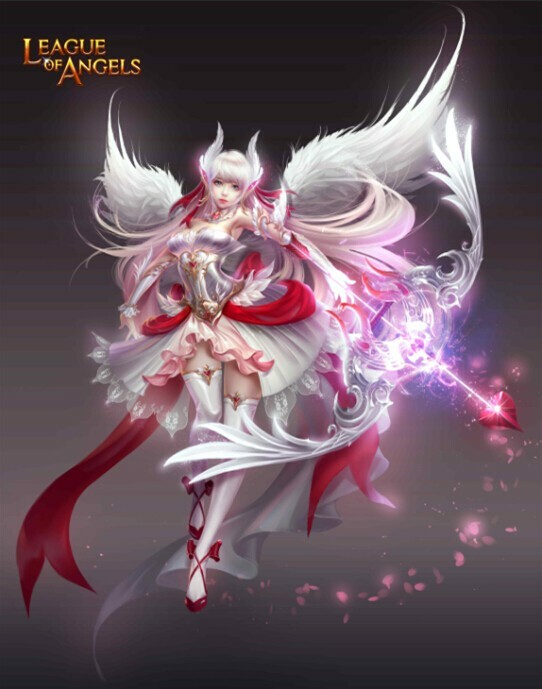 As we continue to develop and improve League of Angels, new updates may slightly change the appearance or effects of systems and classes in-game. Where any discrepancy between game and guide occurs, in-game data shall take precedence. If you discover any errors, bugs or inconsistencies please contact us immediately and we will fix it as soon as possible. GTArcade is a leading developer and publisher of free online games. With its guiding principle of “sharing simple joy,” GTArcade has created award-winning MMORPG and strategy games for browser and mobile platforms around the world. Visitwww.GTArcade.com today and play all our games for free! Partake in the gaming experience of a lifetime!